Establish integrated planning and assessment processes that promote health in community level policies and plans. Strategy 1.1: Include a public health component in community planning processes to increase awareness and opportunity of the built environment’s impact on healthy behaviors. 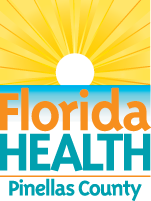 Objective 1.1.1: By Dec 31, 2016, increase activity related to the development of policies and plans that support individual and community health within Pinellas from a score of 82% (2012) to 90%. Increase access to nutritious and affordable foods. Strategy 2.1: Promote options for access to nutritious foods throughout Pinellas County. Objective 2.1.1: By Dec. 31, 2016, increase the percentage of Pinellas adults who meet both of the daily recommendations for fruit and vegetable consumption from 9.3% (2010) to 11.5%. Strategy 2.2: Support a focused effort to increase access to nutritious and affordable foods for children. Objective 2.2.1: By Dec 31, 2017, increase the percentage of Pinellas middle school students who consume at least five servings of fruits and vegetables a day from 21.2% (2012/2013) to 23.3%. Increase access to safe opportunities for physical activity. Strategy 3.1: Promote collaborative efforts to form safe transportation linkages to schools, work, home, and recreation. Objective 3.1.1: By Dec 31, 2017, complete 15 transportation linkages in Pinellas through infrastructure and programming improvements. Objective 3.1.2: By Dec. 31, 2016, decrease the percentage of Pinellas adults who were sedentary, or did not participate in any leisure-time activity in the past 30 days from 25.5% (2010) to 22%.